Direct injections under the skin to temporarily paralyze muscles that cause wrinkles, fine lines, and drooping. Typically injections last 3-6 months. Injections may also be given to treat excessive sweating produced by the glands of your underarms and treat TMJ. 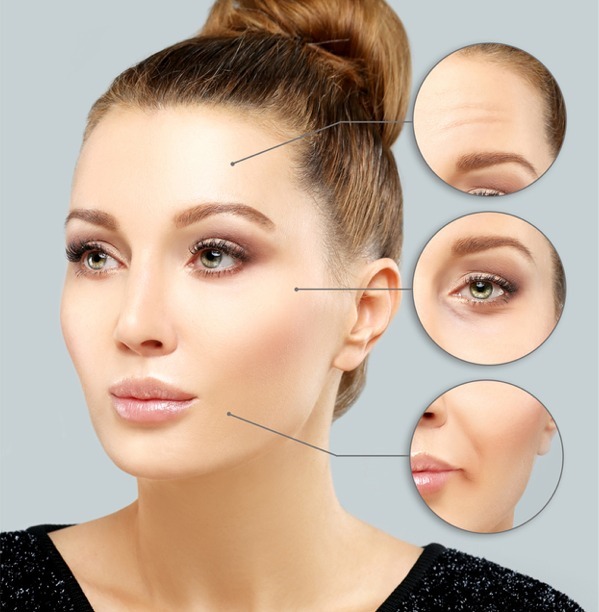 Cosmetic dermal fillers are made up of hyaluronic acid which is complex sugars that have the unique capacity to attract and retain many times its own weight in water. This allows the filler to plump up the skin from the inside out. Treatment areas include the temples, under eyes, nasal labial folds, frown lines, and hands to reduce lines and wrinkles. Augmentation of lips, cheeks, and earlobes are also available.